Lalbagh is a popular botanical garden situated in Bangalore (Bengaluru). This garden is a home to a variety of flora and fauna. There are many different kinds of bird species found here like Myna, Common Egret, Parakeets, and Pond Heron etc. 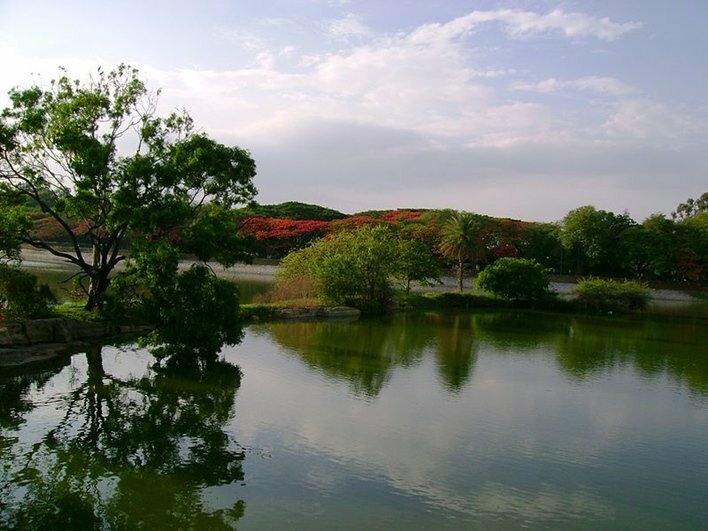 Lalbagh Botanical Garden also has a glass house, an aquarium and a lake that adds to the already existing beauty of the garden. There are two annual flower shows celebrated in the glass house. The largest collection of tropical plants in India is at Lalbagh. This garden has also promoted and cultivated the concept of horticulture and is under the protection of Directorate of Horticulture. It is spread over 240 acres. It is one of the major tourist attractions in Bangalore. Timings: 6:00 am -7:00 pm every day. During the reign of Hyder Ali in 1760, the construction of this garden started but was later on completed on the orders of his son, Tipu Sultan. During that time Mughal gardens were capturing great popularity due to which Hyder Ali wanted to cultivate this exquisite botanical garden. The garden gained more importance when his son Tipu Sultan added the concept of horticulture in the garden. Many different species of plants were imported from different countries making this garden the apple of everyone’s eye. The garden is built similar to the design used in Mughal gardens. As mentioned earlier Lalbagh is spread over 240 acres and houses many interesting things. There are many places inside this garden. Glass Door: The glass door that is the major hub for horticulture was developed in 1890 and is modelled like the Crystal Palace of London that accidently caught fire and was ruined in 1936. The annual flower show is carried in the glass house. There is flower clock inside the garden that works on the electronic quartz mechanism. The clock dial is approx. 7 meters in diameter and is beautifully decorated with multi-colored flowers. Lake: There is a Lotus lake inside the garden apart from huge the Lalbagh Lake. Peninsular Gneiss Rock: The rock is one of the oldest existing rocks in the world. There is a small monument constructed on this rock that has won the recognition of National Geological Monument. This garden is a full package of entertainment and knowledge. 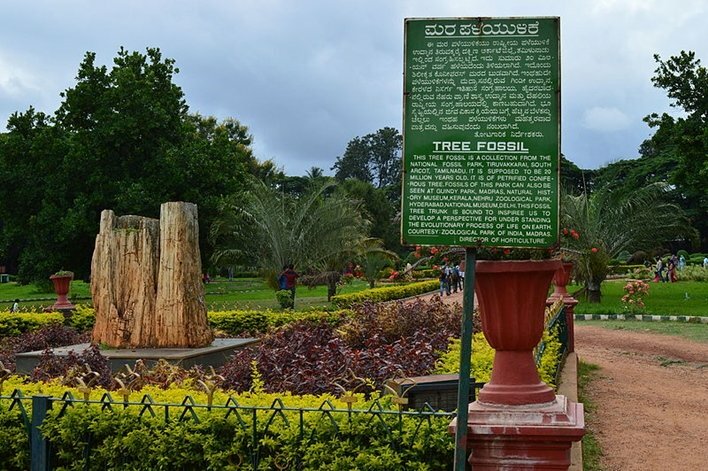 There are many events that take place over the year at Lalbagh that makes this garden a priority for tourists. Different species of flowers are used to build some historic monuments or some famous personalities. This show is carried inside the glass house. Monuments like Red Fort, India Gate etc. were also constructed from time to time with flowers. This year on Republic Day, they paid tribute to the father of horticulture in Karnataka, Dr. M. H. Marigowda by making his statue with flowers. Independence Day is heading and they will surely leave us dumbstruck with their skills all over again. Every year during the month of June, this fair is conducted in which different varieties of mangoes are sold. People take part in this fair with great joy. 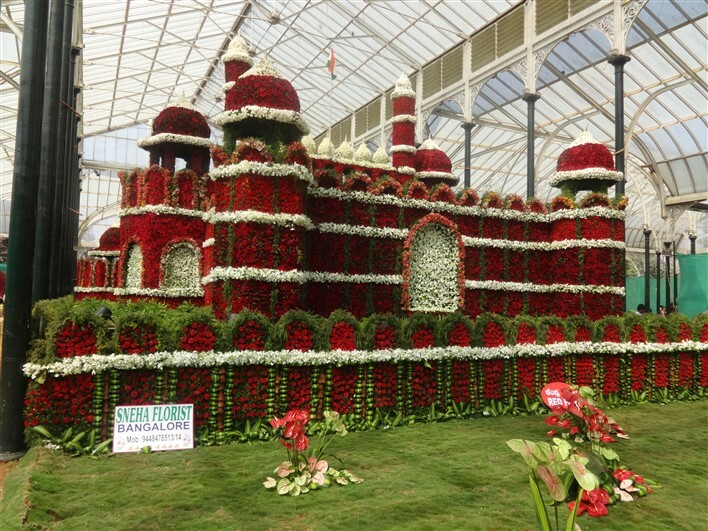 The flower show started 102 years back by the members of Mysore Horticulture Society. 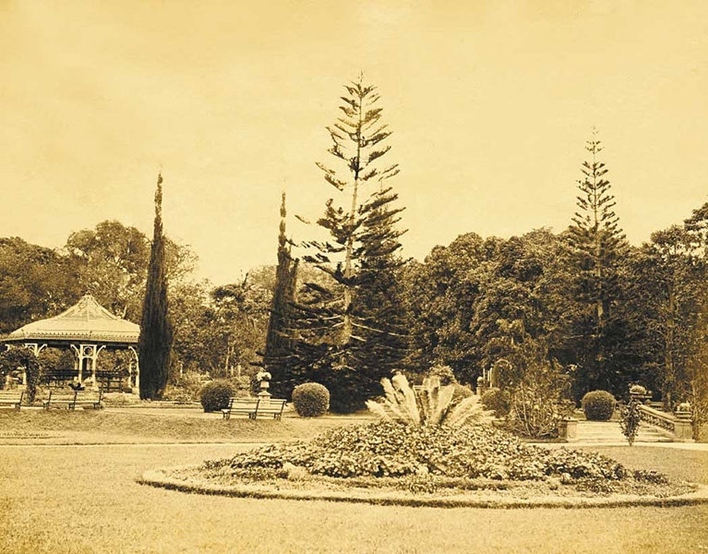 It was declared a botanical garden in 1856 during British Empire. British rulers did help in maintaining and expanding the garden. The garden was first built as a private garden of 40 acres but was later expanded by Tipu Sultan. The two annual flower shows were earlier known as the summer and the winter shows. There are various stalls inside the garden that sells products related to horticulture. The seed stall is the most popular one from where you can buy seeds, flowers, plants and even equipment used in gardening. Apart from this, there are stalls that sell Vetiver handcrafts. Vetiver is a kind of grass. There are stalls that sell Hooglu natural fruit juice that contains no chemicals or preservatives. There is also a dedicated stall for sweets and savories of Karnataka that people purchase with great craze. During the annual flower shows, these stalls become the part of the horticulture exhibition. After knowing so much about this garden, you might wish to visit this place and below are the ways you can use to reach here. Bengaluru International Airport is the nearest airport from Lalbagh and it is 35km away. There are taxis and buses available outside the airport to drop you to the magical land. Majestic Railway Station is the nearest station from Lalbagh – around 5.9 kms. Yeshwantpur railway station is around 13.4 kms away from Lalbagh. After reaching the stations, one can easily take a taxi or KSRTC bus to get to the botanical garden. The Kempegowda Bus Station, Majestic is the nearest bus stop from Lalbagh and it is approximately 7km away. The bus drops you at the garden.